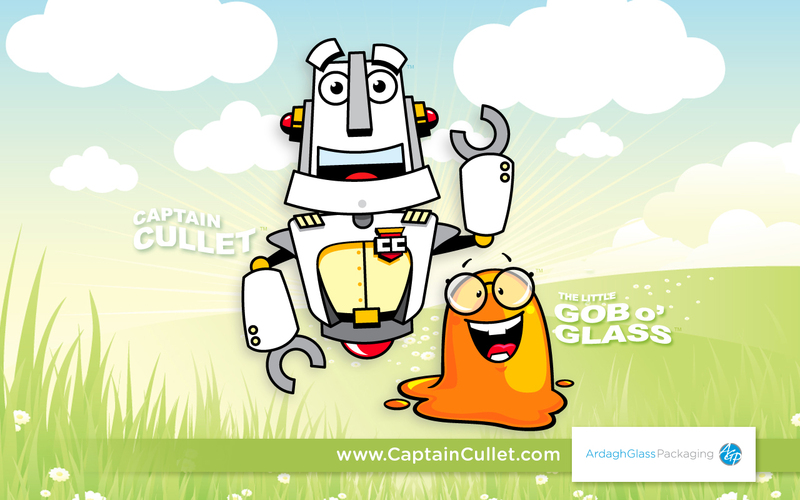 Captain Cullet and The Little Gob o' Glass are on a mission and they also want you to have fun. Recycling glass containers helps everyone since it helps where we all live: Planet Earth! 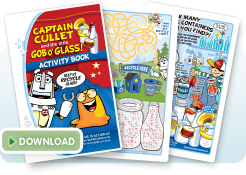 Ask an adult to help you with the fun stuff below. You'll learn how easy it is to help our environment and why this is an important mission. 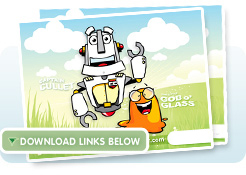 Enjoy 8 pages of fun while learning about recycling glass. 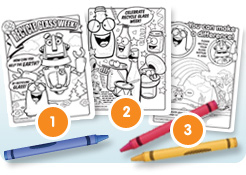 There are puzzles, mazes, word searches and more! 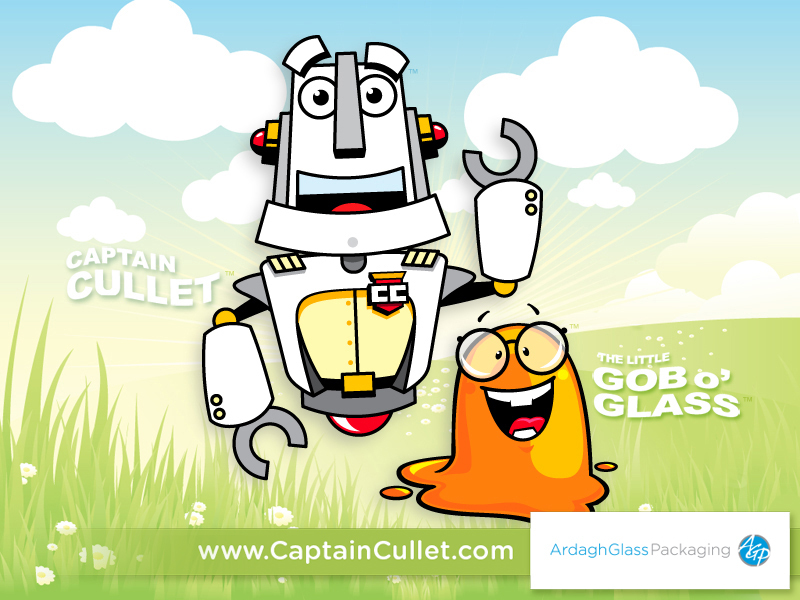 Want Cap'n Cullet and Li'l Gob to hang around longer? Choose a size to download for your computer's desktop. 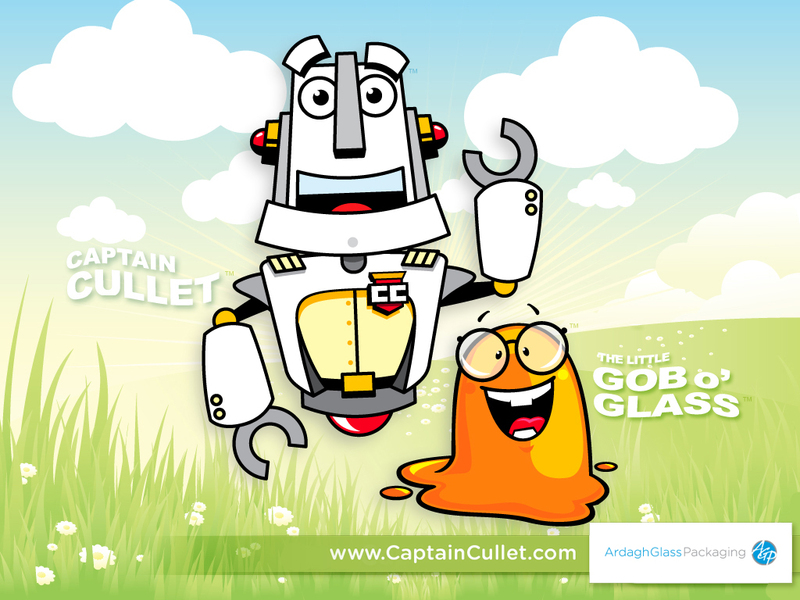 Cap'n Cullet and Li'l Gob need your help coloring their environment; there are 3 pages to choose from! Reading is fun! 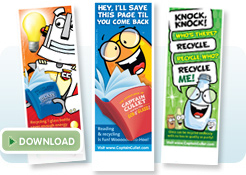 Print and cut out these bookmarks and they'll help you find where you left off in your favorite book. 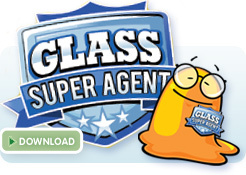 Have you watched the Becoming a Glass Super Agent animation? If so, here's your official badge. Wear it with pride! 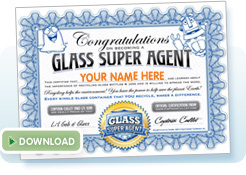 After you've watched Becoming a Glass Super Agent, download this certificate and add your name. Congratulations!